BOSTON—Harvard Business School’s (HBS) Arthur Rock Center for Entrepreneurship has announced fifteen teams that have been selected for the Rock Accelerator. Each team has been awarded $5,000 in the first round of funding from a pool of $150,000 for the 2017-18 school year. Launched in 2010, the HBS Arthur Rock Center Accelerator is a highly immersive program designed specifically for Harvard Business School student founders of early stage startups. The focus is on building and validating a “minimum viable product” that the teams can bring to market quickly, with a strong emphasis as well on developing plans for testing it. The chosen teams experience deep-dive coached sessions and check-ins, feedback on their product pitches, and opportunities to pitch for seed funding. The goal is for teams to emerge from the program with a strong foundation for building or expanding a market-ready product. The Rock Accelerator is run over two terms during the academic year. Forty-four teams submitted entries this term for consideration. The competition was open to second-year Harvard MBA students and their teams. At least one member of each team must be a Harvard MBA candidate. The teams were selected by a panel of HBS students interested in venture capital who are part of the Rock Venture Partners program, where practicing venture capitalists provide in-person mentoring and advice to HBS student entrepreneurs. This program is led by Senior Lecturer Jeffrey Bussgang and Rock Center staff members. Past participants in the Rock Accelerator include greeting card maker LovePop (lovepopcards.com), personal helpers Hello Alfred (helloalfred.com), and Getaway (getaway.house), which provides escapes to custom tiny cabins in the woods. Since 1947, the study of entrepreneurship has been a vital part of the Harvard Business School MBA program, which includes a required course in the first-year curriculum, numerous electives in the second-year curriculum, and a thriving entrepreneurial ecosystem that includes the annual New Venture Competition, the Rock Accelerator Program, Rock Summer Fellows, Rock Loan Reduction, and the Rock 100. 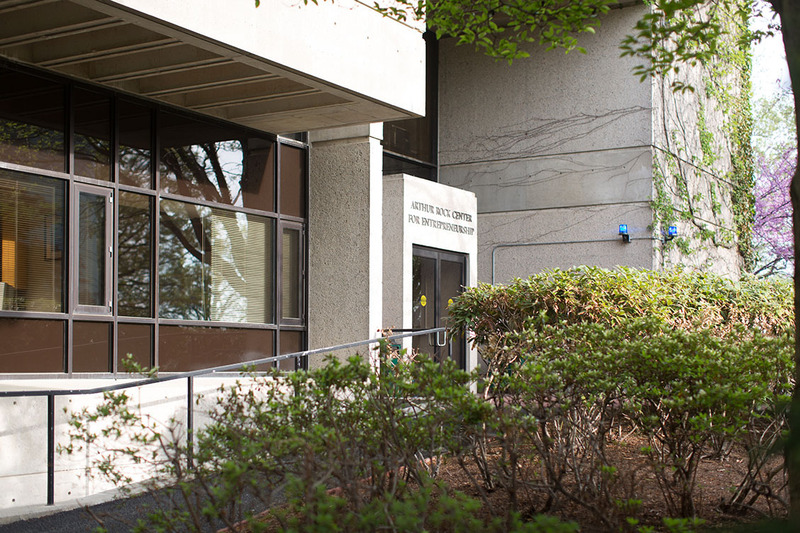 The Rock Center for Entrepreneurship, which has earned accolades as the top program for entrepreneurial studies in the nation, supports faculty and their research in the field of entrepreneurial management as well as spurs the HBS community with the energy and spirit needed for new ideas and innovations to thrive and grow. Through a community that provides support, access to content, and a gateway to entrepreneurial ecosystems everywhere, the Rock Center helps students and alumni create ventures that revolutionize in both the for-profit and social enterprise sectors. Abridge News helps readers develop a balanced perspective on trending news stories by showing the most compelling opinions on all sides of a debate. Alpha Vantage provides a cloud-based platform democratizing access to financial market data for software developers and investors. BundleUp is an online platform that facilitates discussion between voters and political candidates, allowing voters to make more informed decisions at the polls. Coverd is changing what it means to be an insurance company by offering flexible and affordable coverage when you need it, cash back when you don’t. EmCase is a real estate agency in Brazil that through innovative products, data-based advisory services, and affordable commissions is transforming buying and selling homes into a fun and effortless experience. Endorse is an esports influencer marketing venture that connects brands to video game players for authentic product sponsorships. Faktor is democratizing hardware development by streamlining and simplifying the product engineering and manufacturing process. FastFloss is the comfortable, easy, and quick new way to floss all your teeth at once. Frank helps undergrads navigate more successfullly the internship/job search one step at a time. FullFill is a logistics services marketplace matching merchandise owners and warehouses with empty space. Lazy Bear makes teas from cascara, the dried fruit of the coffee cherry, which is delicious, refreshing, and low in sugar. Myos is developing a new approach to cell therapy to treat muscular dystrophy by delivering and fusing healthy cells for muscle regeneration. Providing a personalized prescription for better outcomes, Nalagenetics offers genetic testing, clinical decision support, and patient engagement tools, targeting drugs with long-term use. The company’s first module will be for a breast cancer adjuvant therapy. trey helps athletes use college sports as a springboard to lifetime success. Waypoint rapidly scales knowledge by using augmented reality to train frontline workers on complex processes using holographic workflows. Founded in 1908 as part of Harvard University, Harvard Business School is located on a 40-acre campus in Boston. Its faculty of more than 200 offers full-time programs leading to the MBA and doctoral degrees, as well as more than 70 open enrollment Executive Education programs and 55 custom programs, and HBX, the School’s digital learning platform. For more than a century, HBS faculty have drawn on their research, their experience in working with organizations worldwide, and their passion for teaching to educate leaders who make a difference in the world, shaping the practice of business and entrepreneurship around the globe.